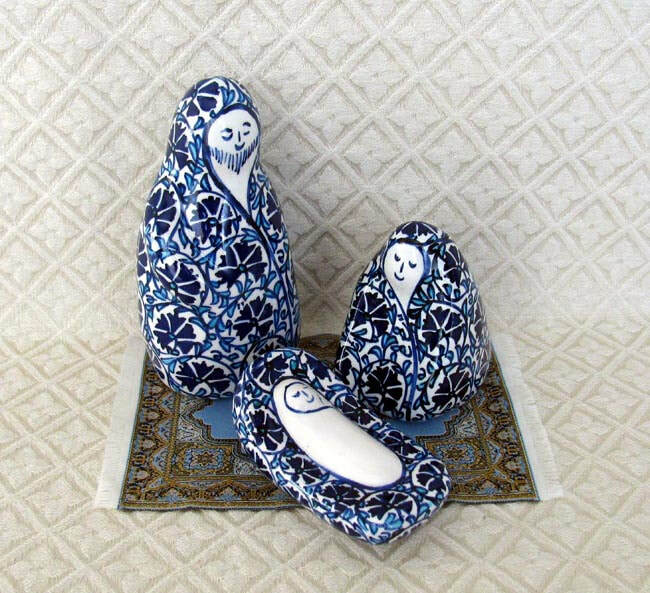 This Nativity scene of the Holy Family is hand-painted ceramic. The scene was made in a ceramic workshop in rural Turkey led by Mustafa Yigit. Mustafa’s ceramic work represents an ancient Turkish art passed down from generation to generation. This Holy Family is decorated in a blue carnation pattern. The Joseph figure measures 5 inches tall. Nativity scenes from Turkey are very rare because the country’s population of 76 million is 99.8% Muslim.